This is a Sponsored post written by me on behalf of Southwest Airlines Vacations. All opinions are 100% mine. As you all know I love to travel. I have a very looong list of places to go and have slowly but surely been ticking away at my list. This year I will be traveling to Europe (Italy, Greece and Turkey to be exact) and hopefully Bermuda. I usually go to Mexico for my birthday in December however with all this International travel planned I have yet to plan something for my birthday and I've been thinking it might be time to consider something a bit closer to home (and cheaper). Insert "Vegas Trip" here. Most of the time when people thing Vegas they think weddings or Bachelor Parties. I think it would be just as great to go with DH for a little relaxation by the pool and lots of eating and shopping. I hear they have great shopping. Since I am always looking for a great deal I was happy to hear that Southwest Vacations now has some great packages for trips to Vegas. They even have flights out of either Newark or LaGuardia (for all my NYC peeps) which gives me more options to find the best price. I am poor in a private plane. I am always looking for a good deal. I did a quick search to see what the prices looked like and it is definitely affordable for a long weekend. I was surprised to see how cheap it would be to fly out for a few days. I was also happy to see that they have a good variety of hotels to choose from. I may be poor in a private plane but I have my standards when it comes to accomodations. Here are some examples of the savings. I know it is a bit early to start planning but Vegas is definitely a contender for my birthday celebrations this year. 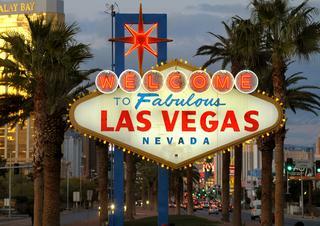 Now I am off to check out Las Vegas Vacations over at Southwest Vacations to see if I can score a great deal to Vegas.